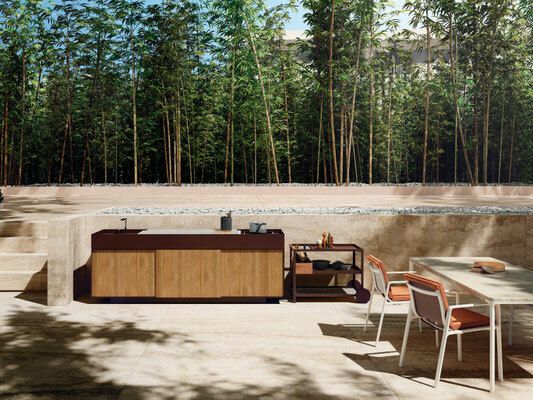 Kettal presents the Outdoor Kitchen. 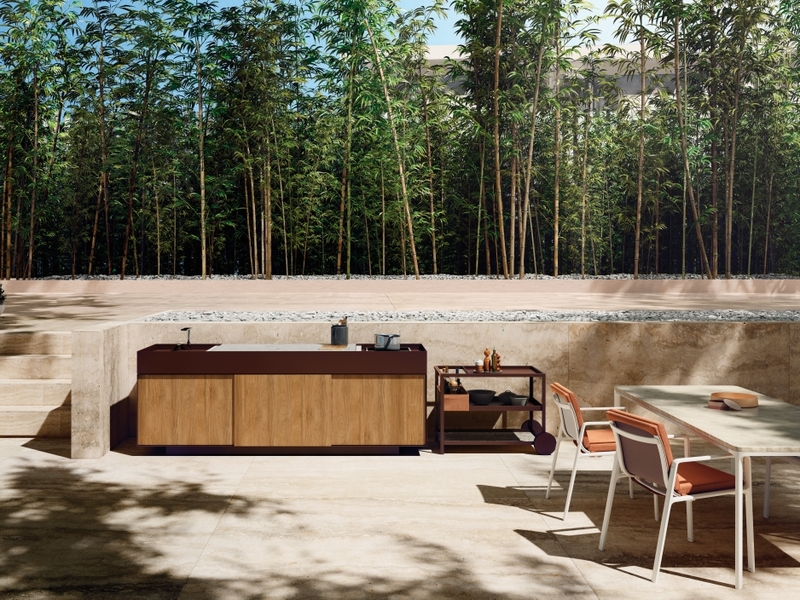 This new outdoor kitchen, the epitomisation of simplicity, is made from aluminium with an option for the doors to be made from teak wood. 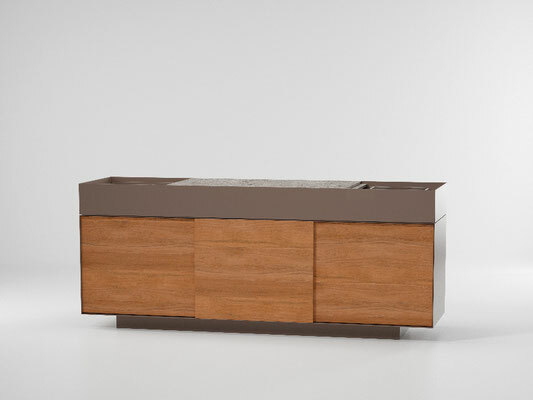 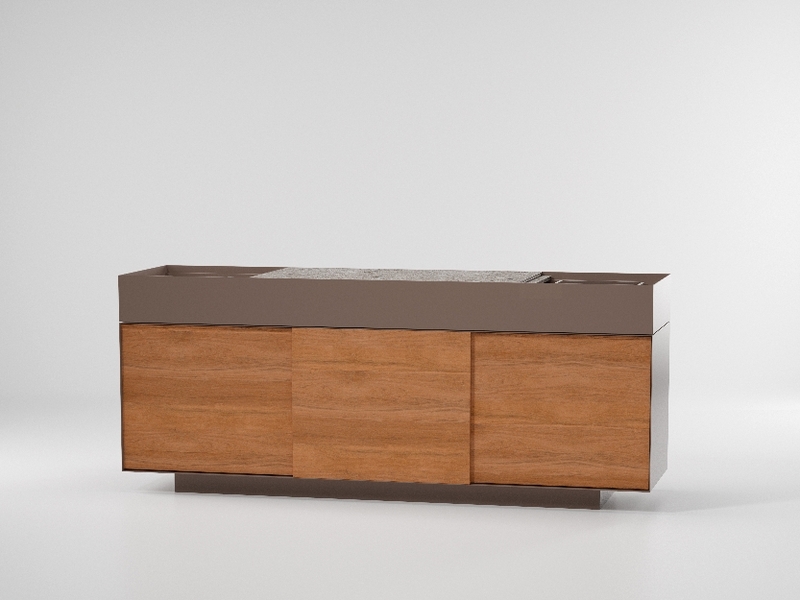 The Ceppo di Gré work top closes completely thanks to the movable panels. 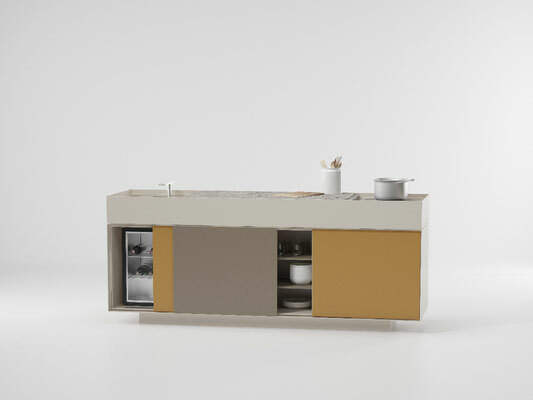 It is fitted with water (tap, drain and water heater) and electricity connections, and has space for a fridge or even a wine cabinet. 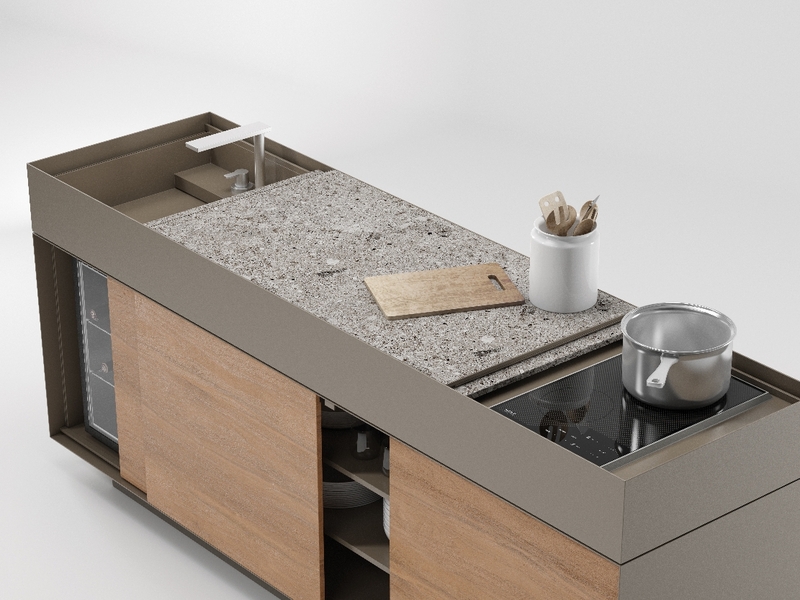 It is also fitted with a ceramic hob. 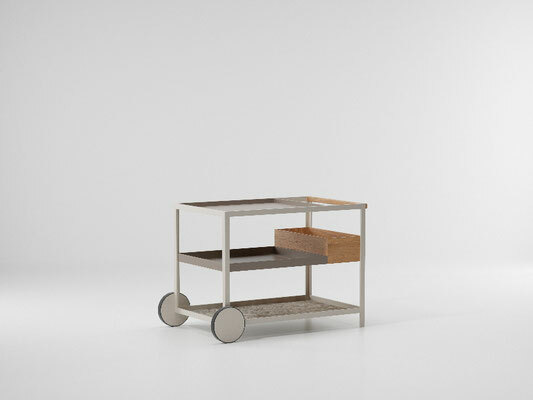 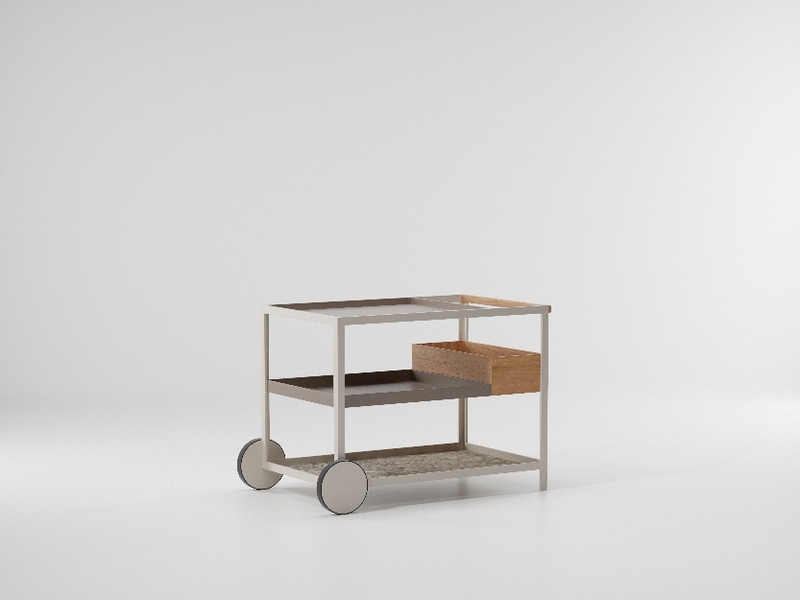 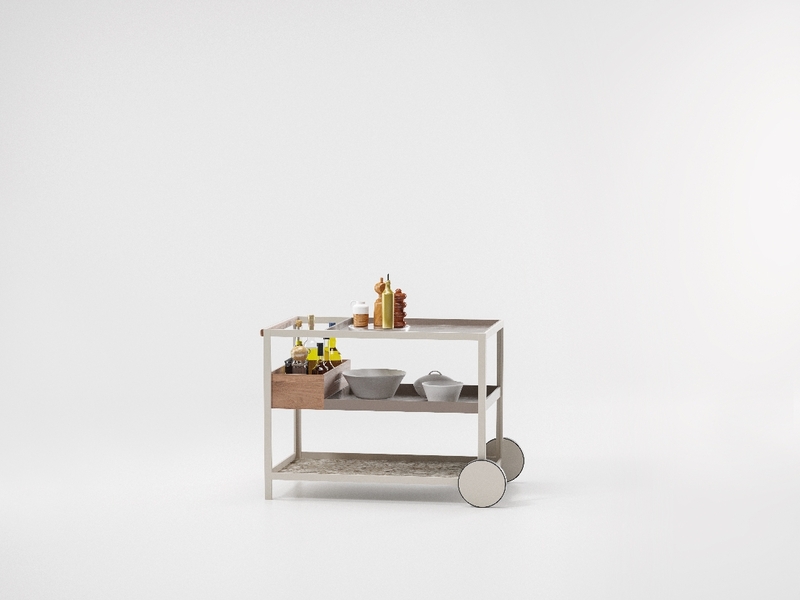 An optional auxiliary trolley can serve as a support table when working in the kitchen and also for transport and storage. Available in 30 aluminium colours, which can be matched to the colours of the sliding doors, and in three Ceppo di Gré colours.